As drug addictions change over time, one Valley organization is helping local law enforcement keep up with the trends and help keep people safe. “It’s working smarter not harder,” said Melissa Alviar, a coordinator with Behavioral Health Solutions South Texas. Alviar has been working with local law enforcement and educating them on the latest addiction hurting local communities, the misuse of prescriptions drugs. 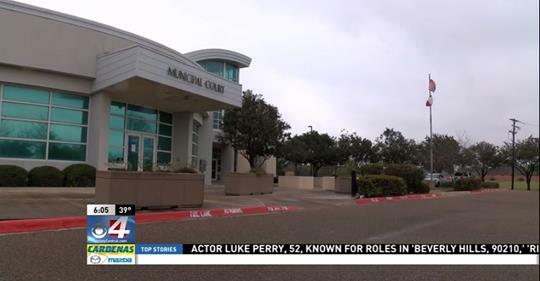 Organizations like Behavioral Health Solutions have been working hand-in-hand with Pharr police, updating officers on the latest drugs that are being abused. Aaron Jamison is a Peer Recovery Leader at Behavioral Health Solutions and helps teens find recovery from being stuck in drug addiction, like he once was. “I started smoking heroin when I was 18. I was injecting it by 19. I’m almost 26 now and I’m almost two years clean and sober,” Jamison said. While addicted to drugs, Jamison went from jail to living off the streets. Now, he’s helping teens go past the uncertainty and reaching out. Working with teens, Jamison has first-hand knowledge of new drugs like ‘spice,’ a form of synthetic marijuana that looks like potpourri. “[I tell my peer groups] don’t be ashamed if you’ve been to juvie, don’t be ashamed if you’ve stolen for drugs, don’t be ashamed of that, just work on the here and now,” Jamison said. Other initiatives from Behavioral Health Solutions have included the Social Host Ordinance in Palmview, which holds people accountable for providing the location to where underage drinking might be happening. BHSST © 2018. All rights reserved.